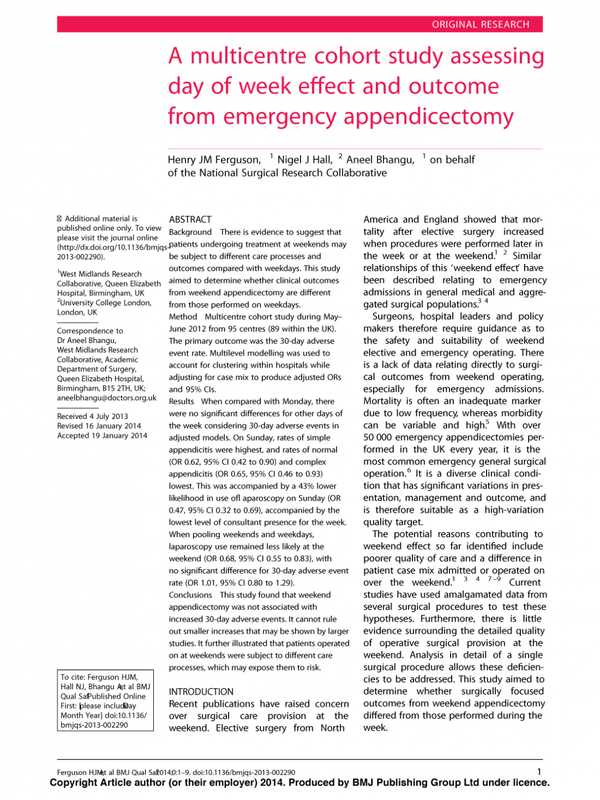 A multicentre cohort study assessing day of week effect and outcome from emergency appendicectomy. BMJ Qual Saf. 2014:bmjqs–2013–002290. Home » Portfolio » A multicentre cohort study assessing day of week effect and outcome from emergency appendicectomy. BMJ Qual Saf. 2014:bmjqs–2013–002290.